1. 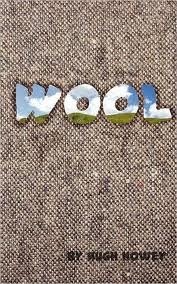 Howey is a Great Writer - Wool is a phenomenal book. Just the novella alone is brilliant and a hauntingly original setting that made you want to explore the world of the silo in-depth. His subsequent Silo series has continued to captivate readers. The first book is free, so you can check it out for yourself. 2. Howey is a Success - Of course, the fact that he's a bestseller makes him a hero to many. Success in publishing is hard to achieve, and many bestselling authors still have a day job. 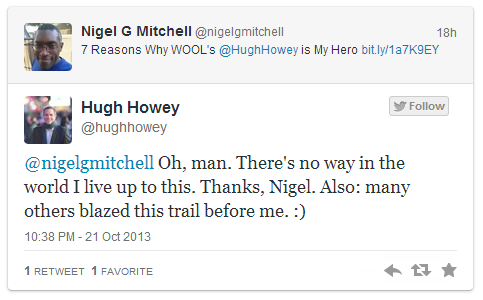 Howey not only quit his day job, every author's dream, but also sold the film rights for Wool to Ridley Scott. 3. Howey is Self-published - Even by the standards of traditional publishing, Hugh is a phenomenal success. But it's even more amazing that he's self-published. He had made over a million dollars from his book sales before a hard copy ever hit stores, and Hugh did it all himself. He wrote his book, formatted it, and even designed his covers himself. He truly brought respectability to self-publishing. 4. Howey is Still Accessible - One of the great things about Howey is that you can talk to him. Before his success, he was active on Kindle Boards and social media, and remains so. Unlike other authors who hire someone else to handle their social networking, Howey does it all. You can still find him on Twitter and Facebook and KB. It's always amazing to me when he pops up with a comment on KB or Goodreads. When he retweeted one of my tweets, it made my day. I don't think there's a high profile author out there who engages with his fans as much as Howey. Compare that to Dan Brown who's practically a ghost. 5. Howey Changed Publishing - It's not an exaggeration that Howey single-handedly transformed the industry and its relationship with indie writers. In 2012 Howey signed a contract with Simon and Schuster that sold paperback and hardcover rights, but kept digital rights. That meant he could continue to sell books online while the traditional publisher sold print copies. 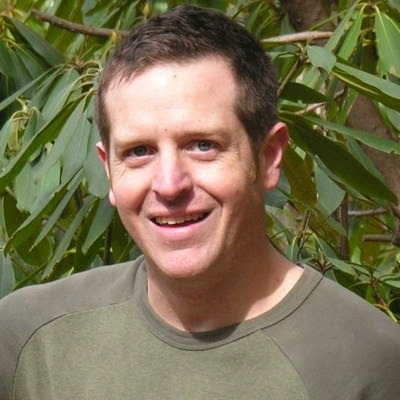 Before Hugh, no one would have believed you could pull off that deal, and Hugh Howey didn't get it by accident. He met with a lot of publishers and turned down what he calls "life-changing amounts of money" (reportedly seven figures) in favor of a six-figure deal that got what he wanted. His goal was not money, but to help other authors. By getting the print-only deal, Howey set a precedent that will benefit all indie authors. Every author who can continue to self-publish their work online while seeing their book on bookshelves owe him a debt of gratitude. 6. Howey Supports Fanfiction - As a fan fiction author, I always wished more media companies supported fan fiction. It always felt like a missed opportunity. I mean, as long as fan fiction isn't sold, all it does is draw free publicity to the original work, and all good fan fiction requires real writing skills. Well, Howey gets it. He's enrolled in Kindle Worlds, the Amazon program that allows fan fiction to be published for sale, which is cool enough. But even before Kindle Worlds, Howey allowed others to write and publish fiction based on his work for sale. He didn't just tolerate but encouraged it: he has a section on Wool fan fiction on his website, and would tweet about other authors' Silo stories. Some of the fan fiction actually became bestsellers, and he never asked for a dime in return. Compare that with JK Rowling's often rabid legal attacks over Harry Potter. Howey's attitude was simply unheard of. 7. Howey is Humble - Many authors who have sold a fraction of Howey's work write books claiming to teach how to be a successful author while doing nothing more than patting themselves on the back, and giving the same path to success that's failed for countless others. Howey does give advice, but freely attributes his success to hard work and dumb luck. He doesn't claim to be the greatest writer who ever lived nor does he claim to have discovered a magic formula for success. He acknowledges the possibility that all his success will end soon. It's refreshing.